"The e-mail ventilator is a great example of a complex 3D printed medical device which could become critical to sustaining life as we explore further and further away from Earth. 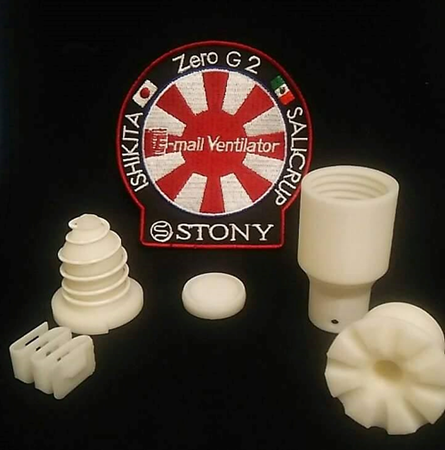 We are proud to work with Dr. Ishikita as he is one of the first doctors to design a medical device for the explicit purpose of being manufactured and used in micro-gravity." Matthew Napoli,VP of In-Space operations, Made In Space.